Metal detecting can be one of the most enjoyable activities in which you can participate. The anticipation of knowing that the next “beep” could be a significant and valuable object, such as a gold ring, a silver coin, or an artifact of some long-ago event is the energy elixir that keeps the Metal Detectorist going. But, we do have to admit, swinging a metal detector for hours on end, digging object after object only to see that your efforts are another rusty nail or junk piece of wire can take a lot of fun out of what should be leisure and enjoyment. Even though the metal detector is doing the “detecting job,” there are other tools and equipment that can make the time and effort easier, more enjoyable, and even more profitable. Consider dividing metal detecting accessories into two basic categories: Metal Detector Accessories, and Metal Detecting Accessories. In this article, we’re going to talk metal Detector Accessories. Metal Detector accessories are those items that can be changed or added to your specific metal detector. Probably the most common accessory thought of when talking metal detector accessories are Search Coils. A change of search coil to one that is more suited to your search can really improve your results. Those of you that read my post titled “What’s the Best Metal Detector,” know that my personal preference for an all-around detector is the Garrett GTI2500. So… I’m going to give advice about search coils (and other topics below) using the Garrett GTI2500 as an example. • If your search is mainly for small objects (coins, rings, tokens, buttons,gold nuggets (yeah… I know… we all want to search for the big boulder nuggets) or you want to search in tight areas (reach back between boulders, walls, and such) you will want a smaller diameter search coil… one that concentrates the electromagnetic field more tightly. A smaller search coil can get you into tighter places, and can be better in “trashy” areas. The trade-off is that your depth will be sacrificed, and your search sweeps must be narrower. 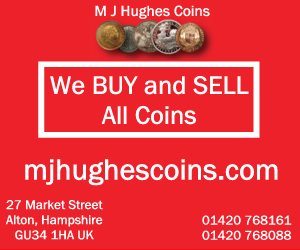 • If you’re searching for larger objects, let’s say relics, fence post banks, shallow caches of coins and the like, then the “overall” search coil that (probably) came with your machine is good. It will still find coins and rings, but you also run the risk of missing a coin or a ring that is “standing on end” in relation to the coil. • If you are searching for very large, deeper objects, like a chest or maybe a buried cache of gold, silver, jewels, etc., then use a large diameter coil, especially if you’re wanting depth or need to cover a lot of ground quickly. The sacrifice is missing small objects. 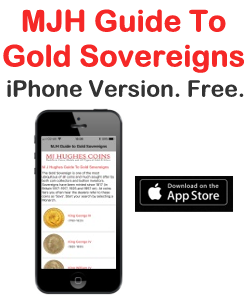 You probably will not detect small coins, rings, and especially small gold nuggets. • Lastly, if you’re searching for very large objects, say a buried chest or a large cache, you might consider a dual-coil setup. You will get a lot of depth, but you can forget about small objects (coins, small nuggets, etc). Having a selection of search coils is really going to improve your results with your detecting, especially using small coils for small, shallow objects. Let’s face it, there are a lot more coins, rings, tokens, and buttons lying around than there are buried chests of gold and silver. My advice is to invest in a small search coil first, and if the need arises (such as you’ve decided to expand your detecting horizons or have identified a specific treasure you know is sufficiently large to warrant it) invest in a larger coil later. 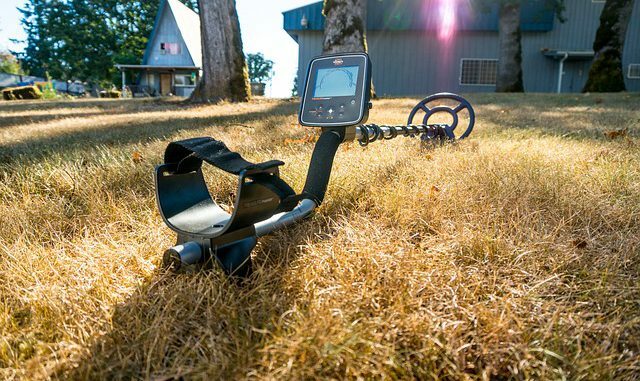 What other metal detector accessories can make metal detecting more enjoyable and more profitable? Headphones. In short, do not scrimp on headphones. You will be wearing your headphones for hours at a time. Make sure they are comfortable, with padding both on the ear covers and the headband. Also make sure they are adjustable to fit you comfortably, and responsive. You want to be able to discern the smallest of sound changes. You do not want headphones that lay on your ears, but completely cover your ears. This is to block out ambient noises as much as possible. Other considerations specific to your detector are the type/size of connector (mono vs stereo vs multiple pin vs wireless). Other considerations are water resistance, noise blanking, and automatic level control. My advice is to get a set of headphones that provide a frequency responsiveness for the full range of human hearing (20 Hz to 20 KHz) or better; full padded ear covers; and compatible with the connection on your detector. An auxiliary attachment (if you have hearing loss in some frequencies) is an external amplifier, especially one that can adjust the tone of the signal. Protective Covers. Unless your detector is specifically designed for underwater use, the CONTROL BOX is not going to be waterproof. Water from rain or spray from a waterfall can seep into the inner workings and literally destroy a detector. Most high-end manufacturers of detectors have protective covers for their models that protect from rain and spray, but NOT for underwater use. These covers will have a clear plastic window for viewing the meter/display. Get one. Don’t chance ruining your detector because you wanted to save a few bucks on a cover. Search coils are generally waterproof to a certain depth, so a waterproof cover is not needed. Instead, manufacturers make a protective cover to protect the coil from physical damage. Frankly, I don’t swing my detector around hard enough to damage the coil. But, if you’d like to keep it from getting scratched up, a protective cover is usually available. Metal Detector Harness. Not really a metal detector accessory itself, but something that can make hours of metal detecting more enjoyable, is a harness that you wear and attach to the metal detector to support the weight of the detector while allowing full range of your “swing.” Various entrepreneurs have designed what they believe is the ultimate in detecting comfort, but one I’ve found that works for me is the “Doc’s Ultra Swingy Thingy.” Basically, it’s a suspender type harness with an adjustable stretch cord that connects to your detector. It can take a lot of the weight off your arm and distribute it across your shoulders. Very nice for long days of detecting. And there you have it. Acquiring a few additional accessories for your detector can really increase the enjoyment of metal detecting. Check out what’s available for your detector, prioritize your needs and desires, and invest in your detecting hobby… and get out there and find some treasure!